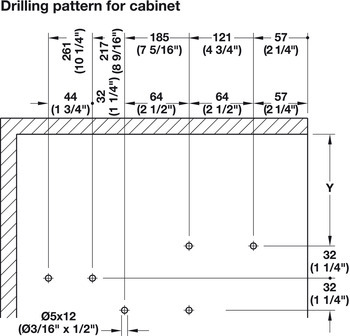 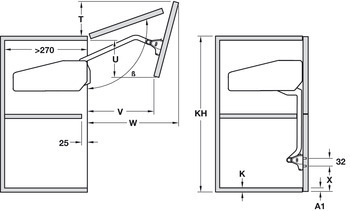 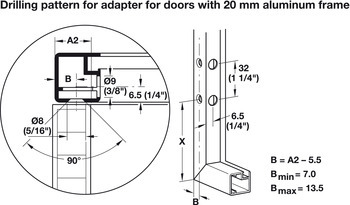 Concealed hinges for mounting the door to the cabinet, connecting hinges and adapters for narrow aluminum frames (if applicable) must be ordered separately. 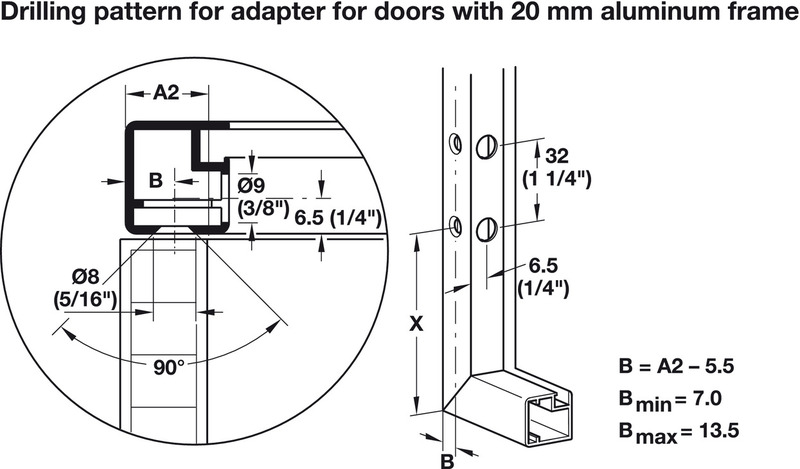 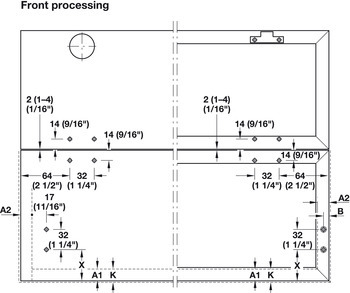 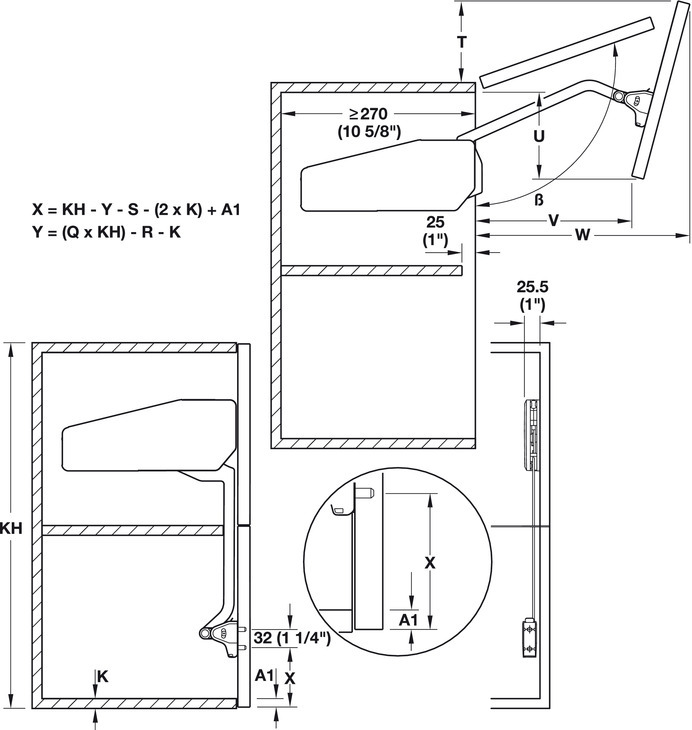 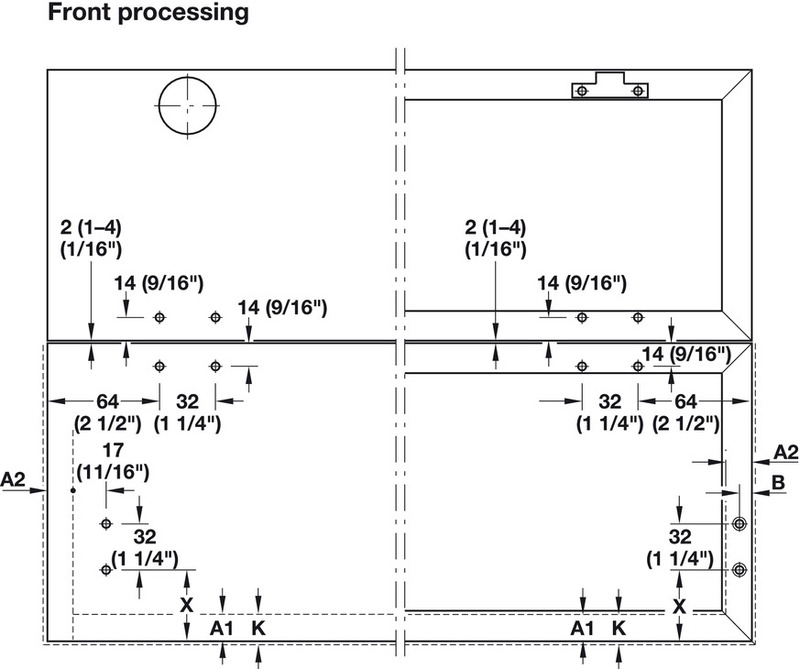 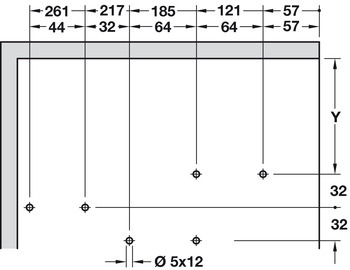 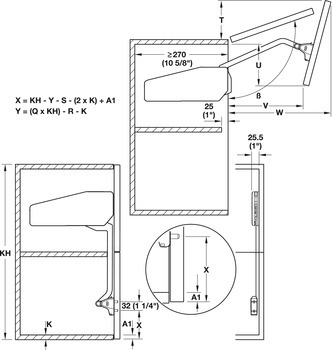 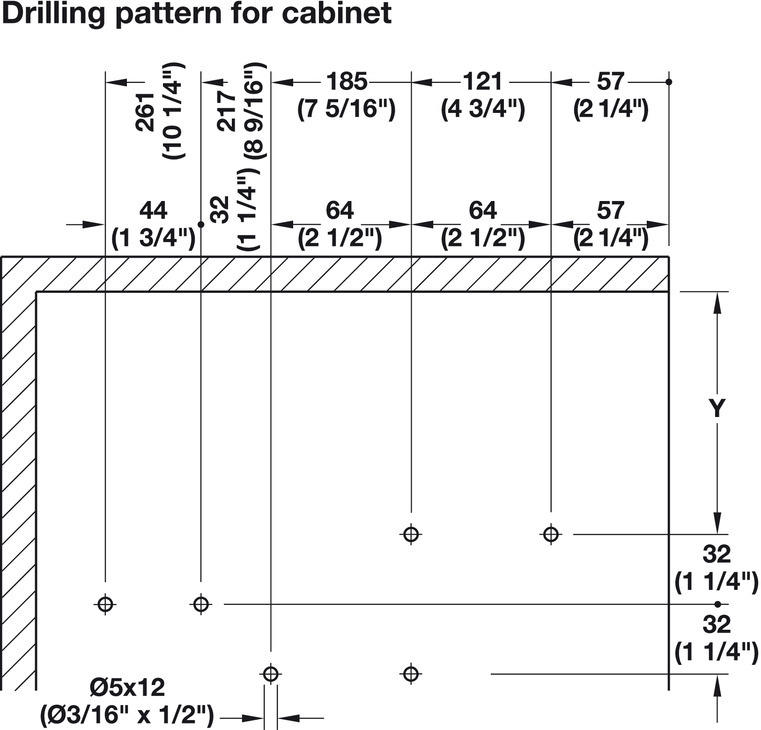 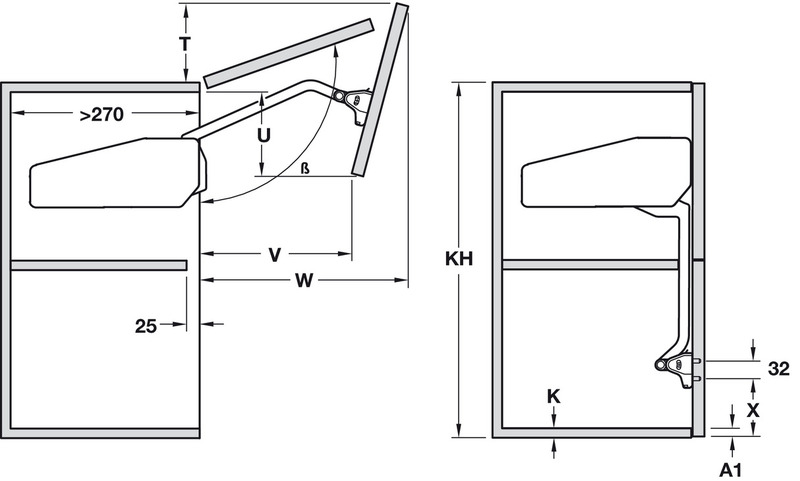 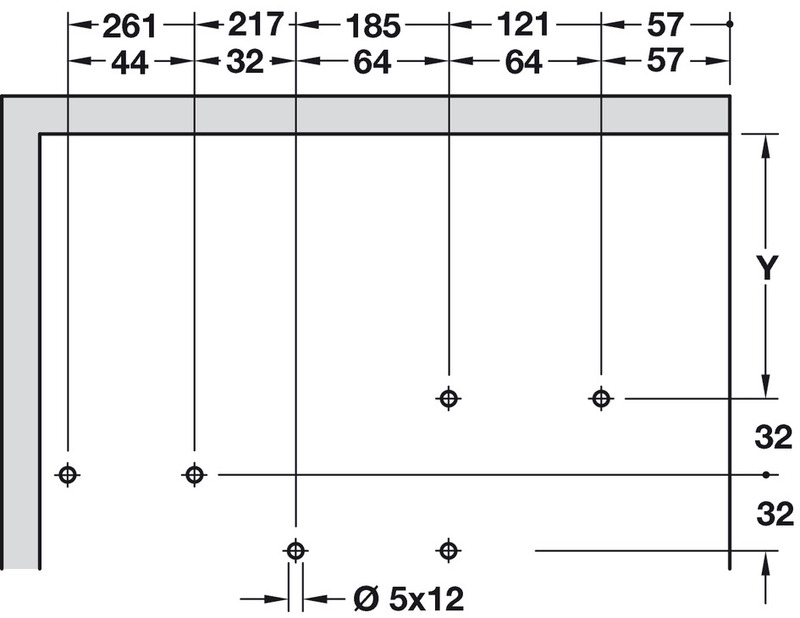 The specified models apply to common door heights and weights. 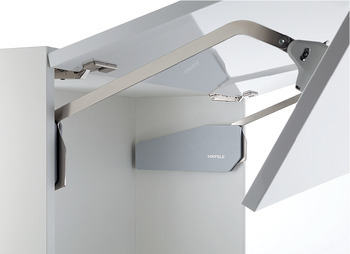 Shorter front panels with higher door weights and taller front panels with lower door weights can also be implemented in individual cases.